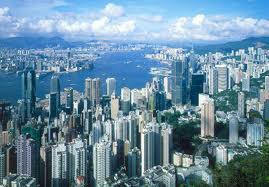 In well-developed Hong Kong, it is easy and hassle free to locate competent Healthcare facilities and services. The local Health care system is of top quality and this helps to bolster its second ranking internationally in terms of life expectancy. Obviously the top notch healthcare has laid the foundation for this achievement. Additionally it is this pursuit of excellent healthcare that has led to some breakthrough medical treatments and surgeries. Hong Kong Department of Health is the facilitator and regulator in the local healthcare sector and it has been responsible for a number of healthcare programs through preventive and curatives services. On top of the well-run programs, adequate legislations are also in place to overlook the practice of medical practitioners and medical institutions operating domestically. This special administrative region of China is supported by some 40 public hospitals and facilities and healthcare delivery is established by way of an extensive network. To complement its comprehensive delivery, emphasis has also been placed on medical education; with two medical schools cater for its residents' aspiration for medical excellence. A number of specialist training centers can also be found here, tackling specific aspects of healthcare such as dentist care and chemistry. Additionally you can find over 10 private hospitals with strong UK link. These are commonly accredited to the main UK hospitals there .